Sending this winning email to your dream company can get you noticed...and even hired. This e-mail is a magic bullet. It follows a very specific format and will get you a meeting that will lead to your new job. The catch is, you need to actually have done the work to support the claims you make in this email for it to succeed, and that takes a lot of effort. Consider this as a road map. If you do the work necessary to write this e-mail, you will get a meeting and a job. 1. Prove three ways that you have a real skill. Companies need people with real skills. Choose a skill that you know the company needs, based on all the research you have done in your company brief. Companies need people with skills that are directly applicable to the real jobs they need done, like accounting, project management, and design. Soft skills like leadership and willingness to learn don’t count. If you don’t immediately know how to prove that you have the skills they need, try the following exercises: make a list of your skills, make a list of what you want to learn, and take a course outside of school. 2. Prove three ways that you are mission-aligned. You must prove that you are committed to the mission of the company with tangible examples. Whether it’s through the extensive interviews you have done with leaders in the field, sharing the results of a line of inquiry, or the volunteer experience that you did five years ago, show what you have done. You need to prove that you are mission-aligned, and that means much more than a one-liner at the top of a resume template. 3. Say that you were going to do it yourself, but you can create a deeper impact by working with their company. Tell them that you have been thinking, researching, and beginning to work in this field and then you found their company. Tell them that you realized their company is doing the same work or research that you had begun to do by yourself and how much more you could do if you worked together with them. 4. Request an opportunity to talk. Finally, in the last paragraph, ask for the opportunity to talk, get advice, and learn about how you can work together. Close the e-mail with a simple request. Always approach this request as though you are already doing this work. In the meeting itself, all you need to do is iterate the ways that you have mission alignment and employable skills, and tell them that you want to find a role within their company where you can put all of this into action to bring the company value. It is rare that someone has put in the effort to make the claims you’re making in this e-mail. You’ll stand out from the crowd, and you’re guaranteed to get a meeting. Disclaimer: This e-mail takes a tremendous amount of work to ensure that it is authentic and effective. You have to commit to building and strengthening real skills and to becoming mission- aligned so that it’s impossible to fake. If you are short on either mission or skills, employers will be able to tell and the e-mail won’t work. There is a pathway to get a job with the company that you want to work for, and this e-mail is one of the final steps. This is just a template, so treat it as a roughly hewn guide. Each e-mail you write should be unique and reflect the specific mission and purpose of the company. There are thousands of stories any one of us can tell of our experiences. The employer won’t do the work to understand your story, but you can, and, with any luck, the employer will not only notice, but hire you because of it. 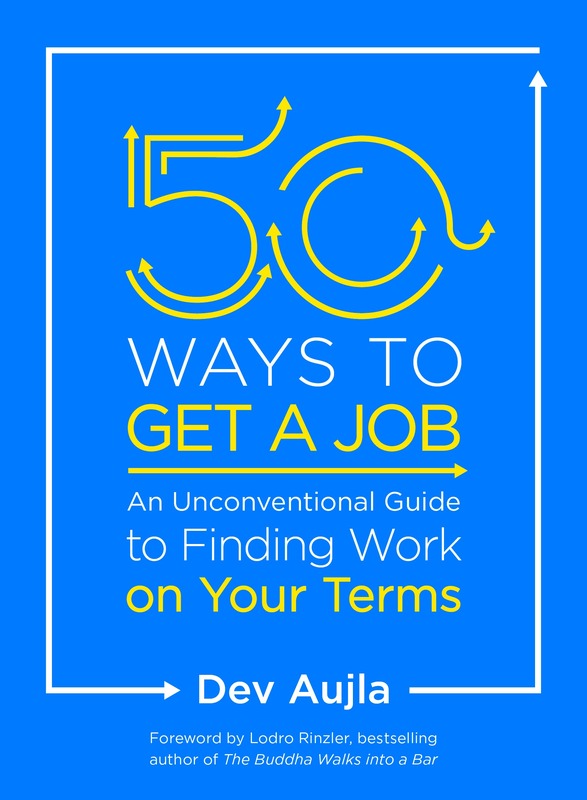 Reprinted from 50 Ways to Get a Job: An Unconventional Guide to Finding Work on Your Terms by arrangement with TarcherPerigee, an imprint of Penguin Publishing Group, a division of Penguin Random House LLC. Copyright © 2018, Dev Aujla.